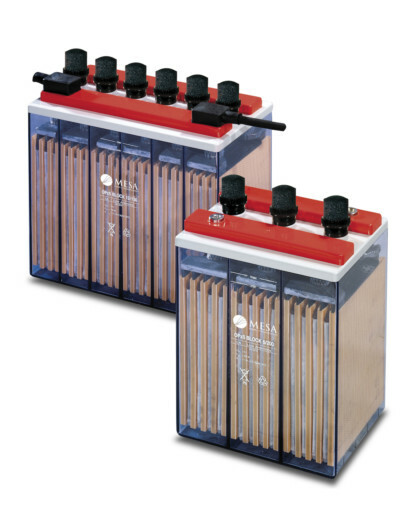 The Mesa OPzS battery is a tubular plate deep cycle battery. The OPzS range consists of OPzS cell and multi-cell blocks conforming to DIN 40737-3 and 40744. 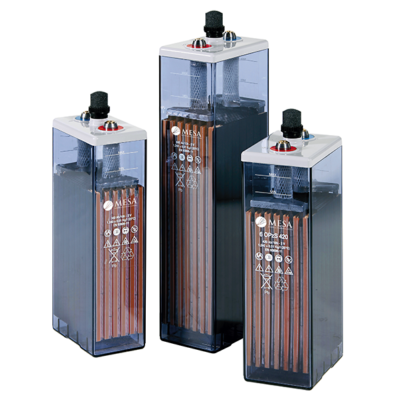 They are ideal for use in all DC power supply installations. 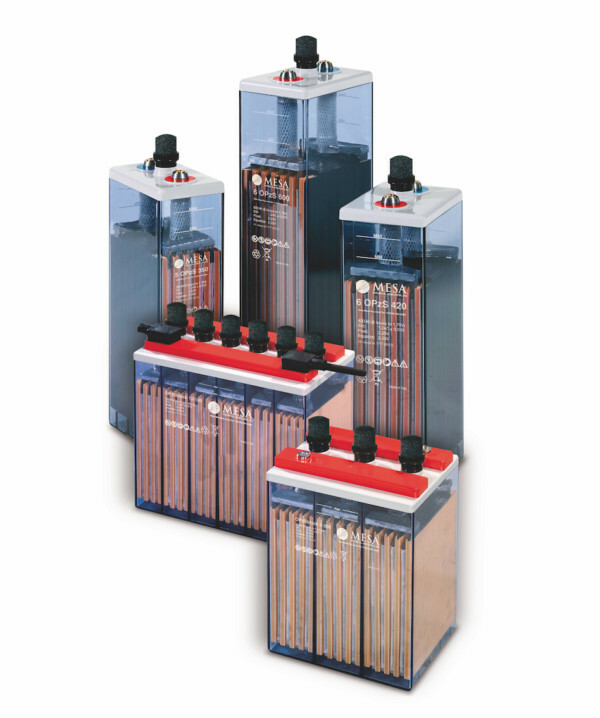 The batteries have a long watering interval, and typically need topping-up only once a year throughout their operating life. The combination of lead-selenium alloy with tubular plate construction makes the Mesa OPzS Battery the longest service life alloy battery in the world.